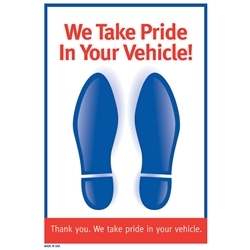 Show your customers you care about their vehicle by placing paper floor mats in every vehicle in for service. Our best paper floor mat. High quality 60 pound 2 color footprint mat makes a great presentation and holds up well while in use.